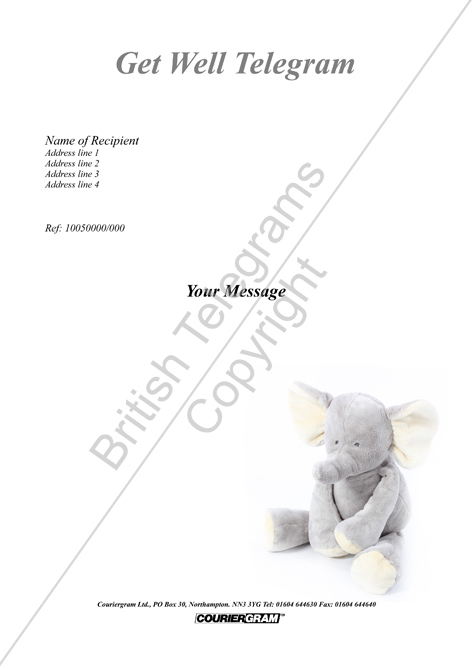 Make someone feel better with a get well soon telegram and let them know you are thinking of them. Telegrams are delivered between 0900 and 1800 Mon - Sat. Cut off time: for next day delivery is 1600 Mon - Fri; for same day and two hour delivery 1800 Mon to Sat. Please see our full terms and conditions. Due to the urgency and time constraints unfortunately cards are not available on the same day and two hour service.